Next Auction May 20-June 1, 2019 NOW TAKING CONSIGNMENTS! We have been seeing a lot of discussion in regards to consigning with various auction houses and the terms in both consignor fees and payout upon completion. There seems to be a large percentage of potential consignors still unsure of how the process works and what their options might be in the landscape of literally dozens of auction houses, large and small. Many of these consignors are still paying to have their items placed in an auction! We have always charged ZERO consignor's fees, have kept our buyer premium at a very low 12 1/2%, putting much more money in the consignor's pocket and we have always paid on or before the second Monday following the auction. Welcome to Brockelman Auctions. What you are seeing is the culmination of many hours of participating in the hobby, mixed with a few creative ideas for managing an auction company. We have taken some ideas we would like to see while participating in the hobby and have incorporated them here. 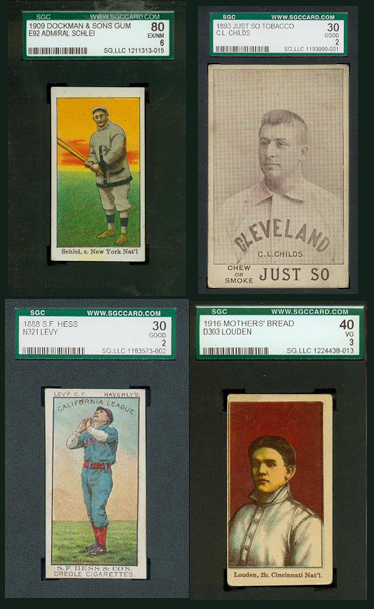 It is an auction company by collectors, for collectors, of sports cards and memorabilia in the 21st Century. We hope you will enjoy our auctions and participate in the hobby we so greatly love. Happy hunting! !